Hi! 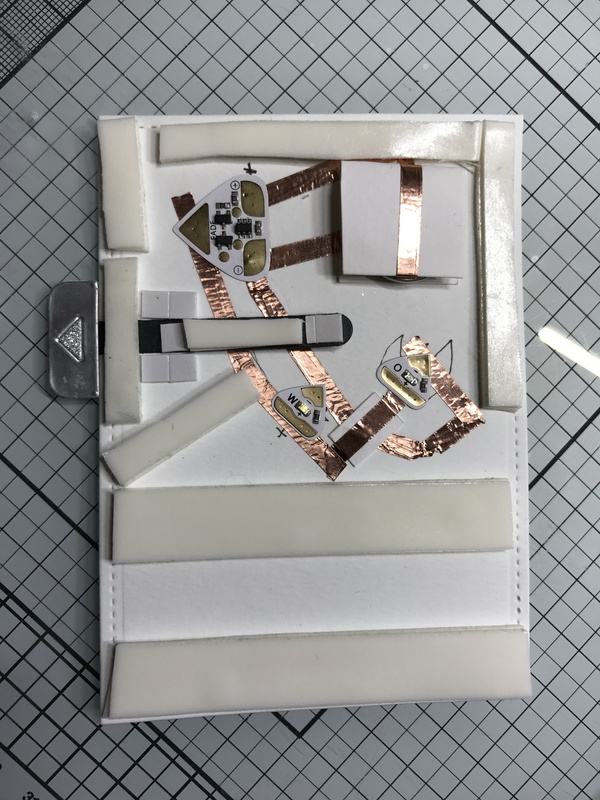 It’s collaboration week with Chibitronics and Newton's Nook Designs. There's so much inspiration to see on the company blog and the design team members blogs so I hope you take the time to look around. Chibitronics and Newton's Nook are each giving away a $30 starter kit and a $30 gift certificate. To enter to win please leave a comment on all the blogs and we will randomly choose a winner at the end of the week! Yay! Right? 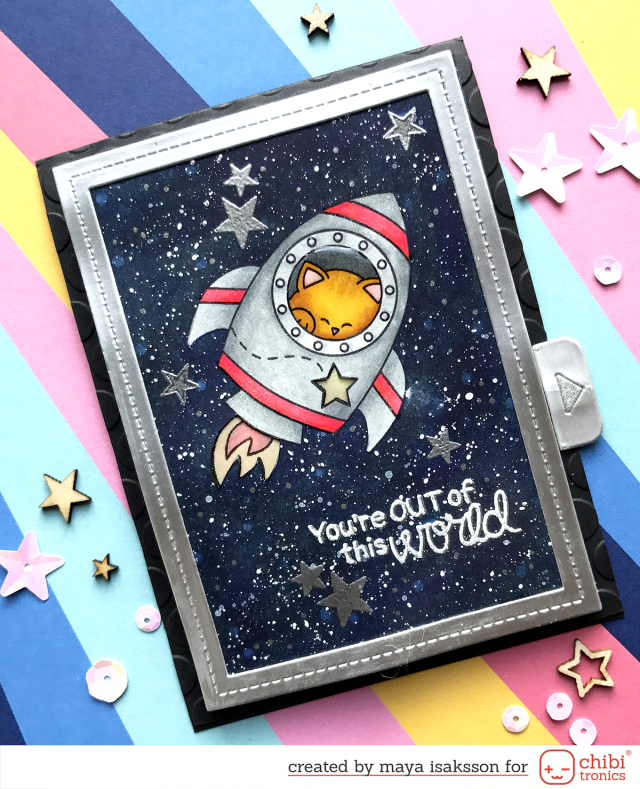 I used the fun set Cosmic Newton to make my card, it was perfect for a light up card. Instead of making stars that twinkled, which was my first idea, I went for making the fire coming out of the engine and the little star light up. I added an effect sticker to make the lights flicker to look more like real fire. I was happy to see the result, it looked just like I was hoping it would! See the short video below for a peek at the effect. I started by stamping the image where I wanted it on a diecut front panel. 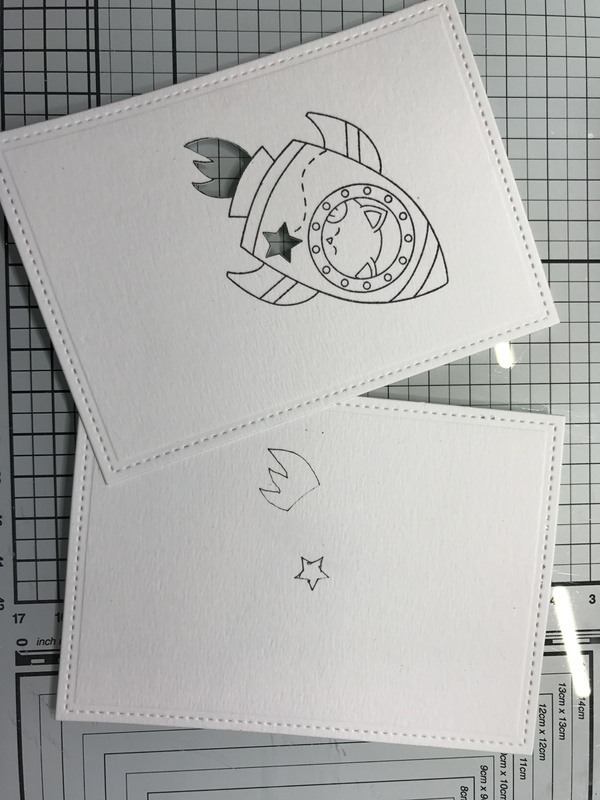 I used a craft knife to cut out the flame and the star and on an identical panel lined up with the stamped one I drew the outlines for the flame and the star to know where to put the LEDs. I also stamped the image again on vellum and colored the flame orange-red and the star yellow and attached it to the back of the panel after coloring it. That way I could use the white LEDs for the flame and it would still have a color to it. I used the stencil to draw in where I wanted the LEDs placed, and also the effect sticker and battery. I always draw out where to put the tape so I don't make (as many) mistakes. I'm not the best planner and this makes me think before I stick stuff down. Since the copper tape crosses over each other I put down a piece of paper as a "bridge". The positive and negative lines can not touch and I grab whatever is closest when I have to have them cross. A piece of washi tape, some scotch tape, a piece of paper or whatever is within reach. I also made a battery holder. 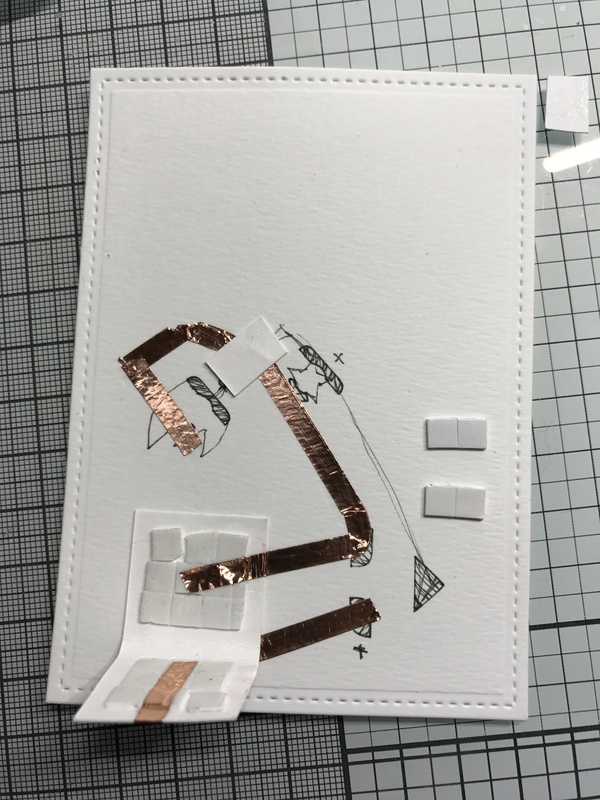 I used thin foam tape pads this time so I could stick the battery to it and the extra thickness makes sure the copper tape is pressed to the battery when everything is mounted. I also started to make a switch, that's the two rows of foam tape on the edge. Here's the circuit all done. Battery inside the flap of paper. The effect sticker on the left side and the complete switch in the bottom. I cut the copper wire under the switch to break the circuit. 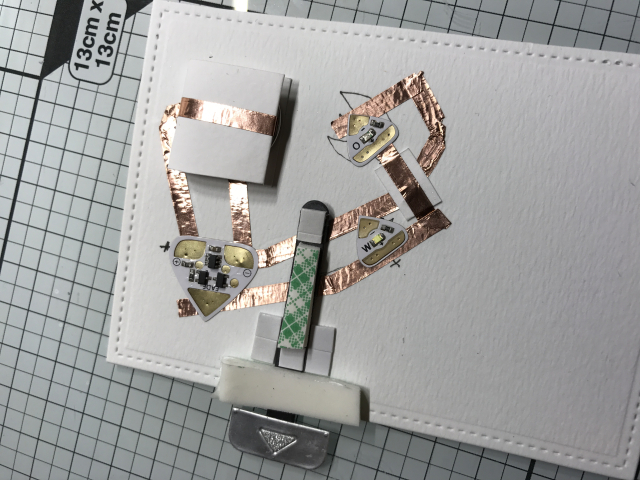 On the back side of the pull tab I put a piece of copper tape that covers the break and connect the circuit when the tab is in the right place. I did however make one mistake and I didn't think about it until I closed everything up. The circuit is closed when the tab is pushed in, so when you pull the tab the lights go off. And when pushed in the lights are off. Ugh. Annoying! But stuff like that happens to everyone, right? 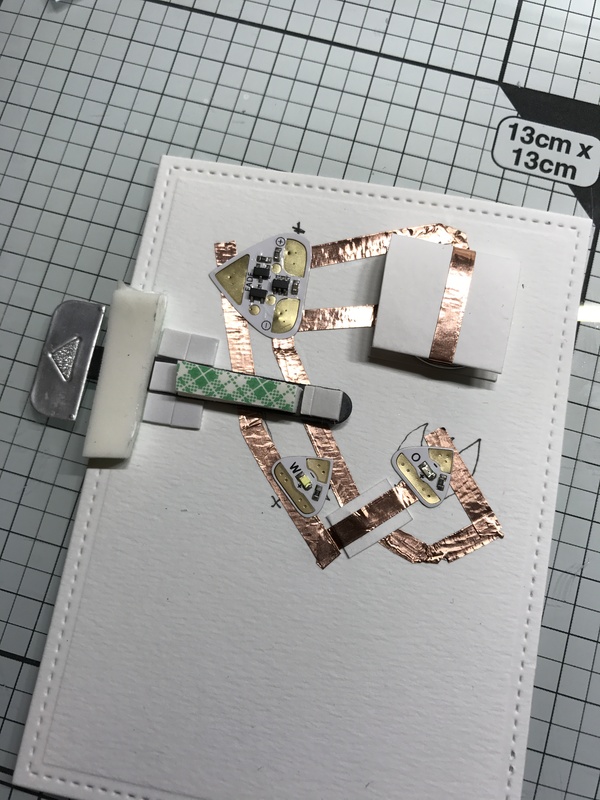 The purpose of the foam tape on the back of the pull tab is to make sure the copper tape pushes against the circuit, ensuring a good connection. Here's the inside of the card, ready to be mounted to the card front. Can you spot my second mistake here? I actually removed the backing paper on the foam tape on the back of the pull tab. That would make it pretty hard to pull out... 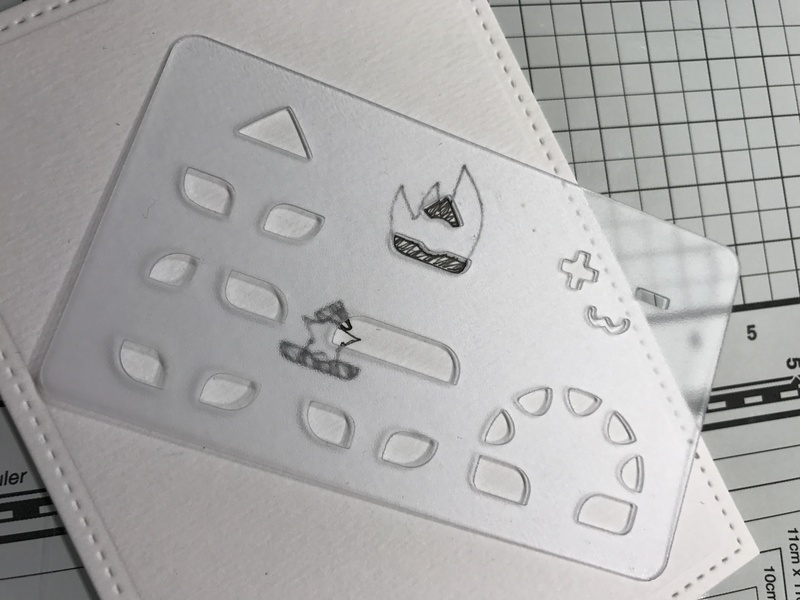 I fixed it with an embossing buddy, it has a fine powder inside and I applied it to the tab to make sure all the sticky was gone before attaching the card front. I hope you enjoyed my tutorial and keep hopping to the other girls to see what they made. 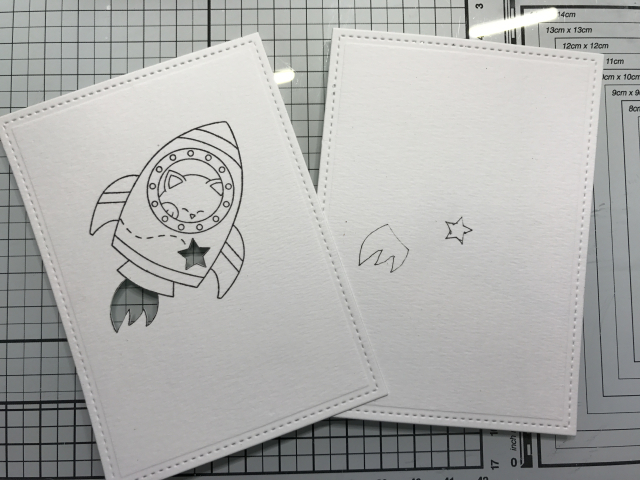 I really enjoyed this collaboration as I've never had any Newtons Nook stamps before. But Newton is so cute and the stamps are so much fun to color so this was right up my alley. Here's the link back to Chibitronics blog so you can go back to check out the rest of the creations. Great card. 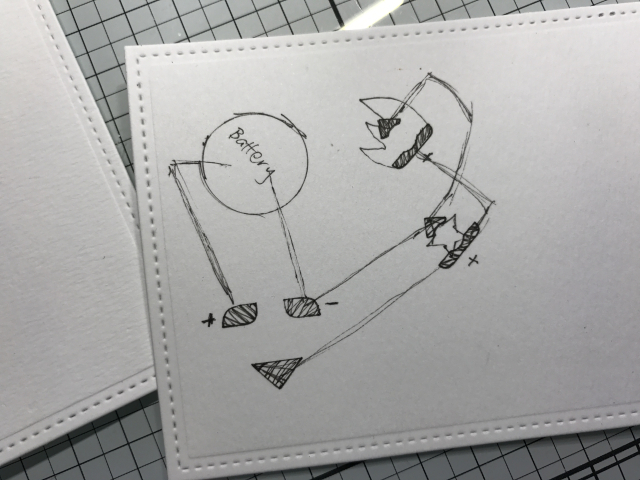 Thanks for including the detailed instructions on how you laid out the Chibitronics. Amazing card! I love the effect of the lights, but I'm afraid I'd be overwhelmed by the mechanics of it. Wonderful card!!! The background is simply stunning!!! The lights are perfect for this space theme card. Awesome night sky and scene you created with that adorable Newton design! So fun with the addition of lights! Super fun card and your coloring is fabulous! This card is so cute! I love how you added the interactive elements to it! The directions how you created it are so helpful! Thank you so much for being part of our fun inspiration week! Fantastic card! Awesome job creating it. Beautiful starry night sky you created and lovely coloring. The black and silver just adds to it too. Just beautifully done!! Great card and idea! Thank you for all of the photos of creating your wonder creation. That burning rocket is out of this world! !